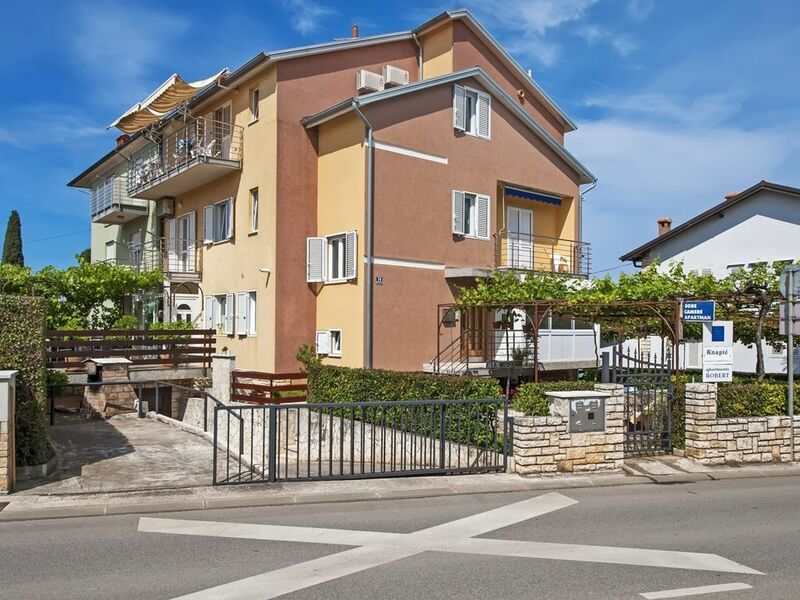 Beautiful and spacious one bedroom apartment is situated in a quiet part of Rovinj, walking distance from city centre and beaches. It is ideal for a family with children. The apartment consists of a bedroom with double bed, a kitchenette with all necessary cooking facilities, a bathroom with bathtub and wc, a furnished terrace. There is a sofa convertible double in a living room for additional 2 persons . Baby cot is available on request.The apartment is air-conditioned, it has a free wi-fi , SAT TV and washing machine. Garden with barbecue is on the guests' disposal. Small pets are allowed . Great apartment, friendly owner, fabulous town. Apartment was clean, bright and airy with a nice balcony for breakfasts. Owner could not have been more helpful. He even gave us a lift to the beach! Rovinj is a beautiful town with characterful old streets, great restaurants and crystal clear sea for swimming. Rovinj is situated on the west coast of Istria (north-west coast of Croatia). For many centuries (1283 – 1797), Rovinj belonged to the Republic of Venice, which characterized the appearance of its buildings. A special feature of Rovinj is the old picturesque part of town, which is dominated by the church Sveta Eufemija (Holy Eufemia), built in the 18-th century. Over one hundred years ago tourists have already been charmed by the beauty of Rovinj, which has since then become one of the most visited holiday destinations on the Adriatic coast. On the magnificent coast of Istria (Croatia), right below the Lim Fjord, is the most romantic place in the Mediterranean! The town of Rovinj is the right destination for all of you seeking a sentimental atmosphere of the times that have forever gone by, you can find it here, in the town that has begun its romantic life on an island, its restricted area resulting in crowded houses, narrow streets and small squares, still untouched by modern urbanism. On the seaside, the town is protected by a high rocky shore and house walls built on cliffs, while the mainland side is protected by solid walls. The town is dominated by the baroque St. Euphemia’s Church, its 60-meter tower providing a view of grey and red rooftops and chimneys, streets and squares, the port and pier with ships and boats, and the marina harboring yachts.